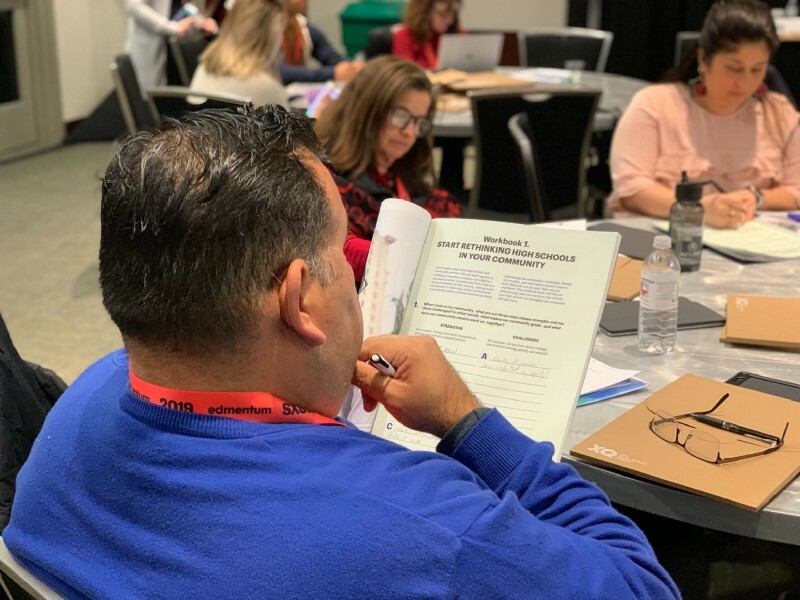 Booher, who serves on the Elizabethton City School board in Tennessee, shared her wisdom and enthusiasm at the SXSWEDU Conference and Festival last week in Austin, Texas. She was among three school board members leading a workshop, organized by XQ, called “High School Transformation…That’s a School Board Thing.” The two-hour session inspired people to get involved in their local school boards?—?by attending meetings, getting to know candidates and board members, and maybe running for office themselves. Booher’s path to her local school board started 12 years ago when friends asked her to run to fill a vacancy on the 5-member board in rural northeastern Tennessee. She had been a longtime volunteer at her children’s schools and comes from a family of educators. As a lifelong resident of Elizabethton, she felt deeply committed to the community’s young people. Still, making the leap from school board observer to board member was daunting, she said. The rewards have been great, she said. As a board member, she’s fought for infrastructure improvements and seen graduation rates increase to 94.4 percent, among the highest rates in the state. 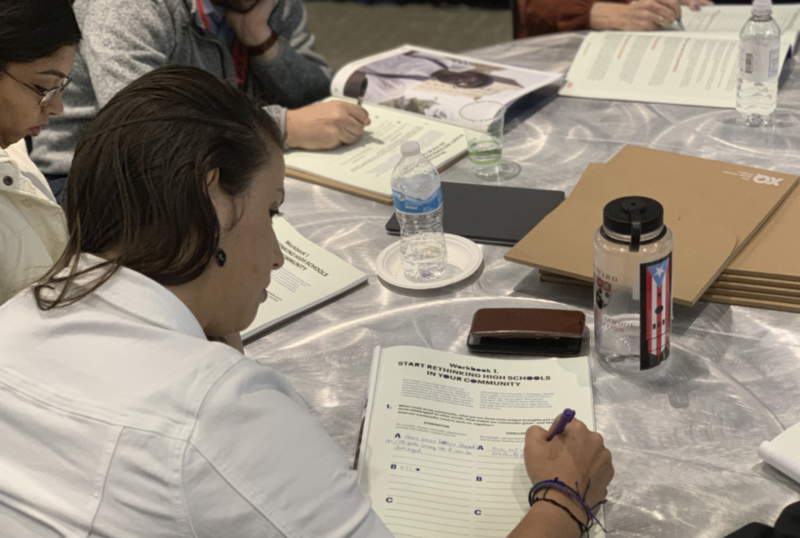 She’s also supported the Bartleby program at Elizabethton High, a student-designed program focused on community improvement and entrepreneurship that grew from two courses to a school-wide effort to rethink high school. The changes she’s pushed for at the secondary level have shown results well beyond the walls of Elizabethton High School, she said. High school transformation is what’s motivating Ashney Shelly to get involved with the school board in her hometown of Cold Spring, Texas. 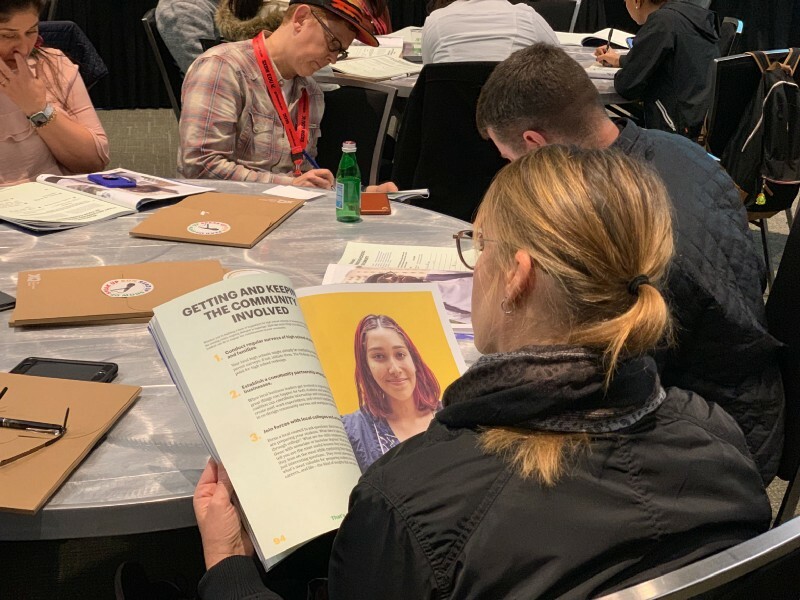 Shelly, a high school counselor and future law student who attended the SXSWEDU panel last week, hopes to bring her expertise and enthusiasm to benefit young people in her community. She’s even considering a run for school board herself, in the coming years. 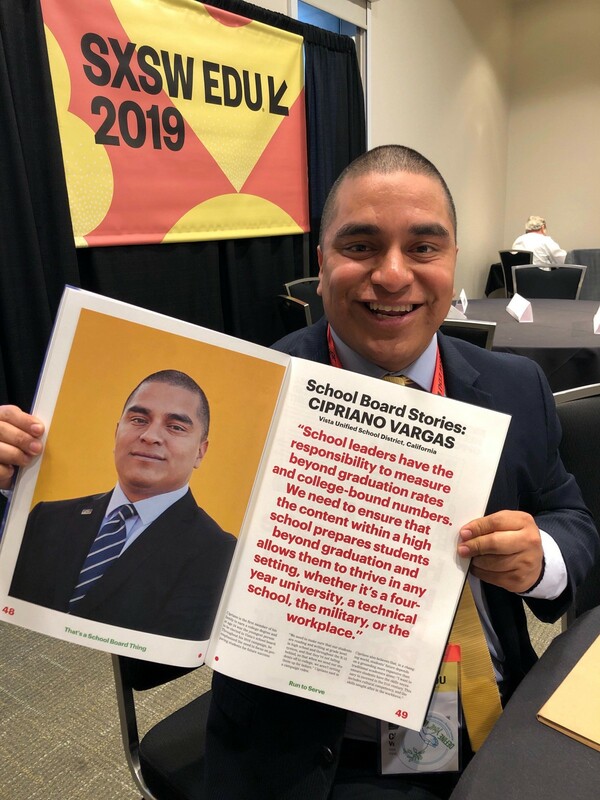 Booher’s colleague on the school board panel, Cipriano Vargas, also traces his political career to a deep commitment to his community. Recently elected to the Vista Unified school board, Vargas graduated from Vista High, attended college locally, and has taught kindergarten. He has several family members enrolled in Vista Unified, and is genuinely committed to the young people in this suburb of San Diego. Running for school board and serving his community has always been a life goal. For him, the key to being a successful school board member is transparency and communication. It helps him forge strong relationships with the community and ultimately makes him a more effective board member, he said.